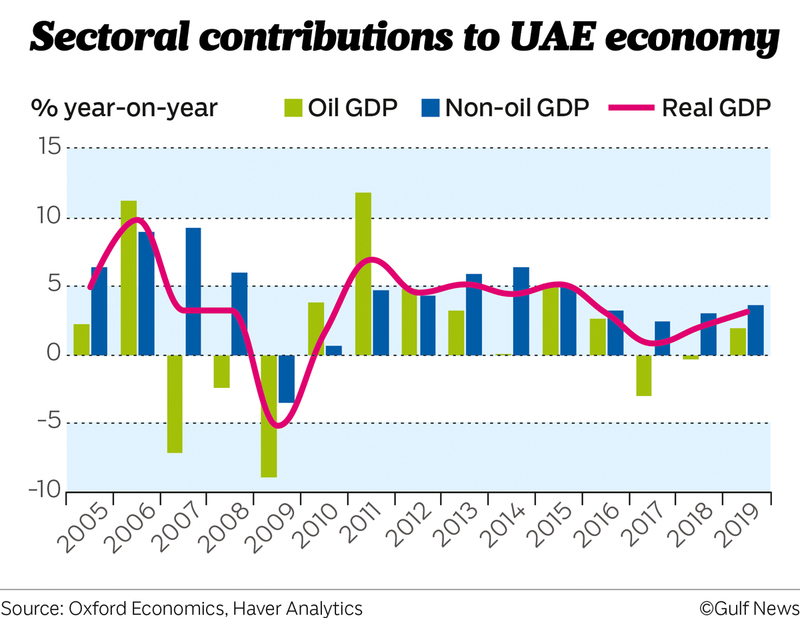 Dubai: The UAE’s economy is on a strong recovery path this year, largely driven by growth in non-oil private sector, according to the fourth quarter Economic Insight report from ICAEW and Oxford Economics. The overall economic growth is projected to accelerate this year supported by rising oil prices, regional economic recovery, higher public spending and investment and a gradual build-up in business momentum. According the International Monetary Fund (IMF), the UAE economy is projected to grow at 2.9 per cent in 2018 and 3.7 per cent in 2019 against an estimated growth of 0.8 per cent last year. “The UAE economy has been adapting well to a prolonged decline in oil prices since 2014. For instance, the introduction of VAT in 2018 has been a historic milestone and is expected to substantially strengthen and diversify government revenues in the coming years,” said Michael Armstrong, ICAEW Regional Director for the Middle East, Africa and South Asia (MEASA). Oil production in the UAE is expected to pick up further by the year end, subject to market conditions, as the country continues to expand its production capacity to 3.5 million barrels per day by the end of this year. Overall, despite the recent acceleration in oil activity, the oil-sector is expected to decline slightly by 0.3 per cent in 2018. In contrast, the non-oil sector activity in the UAE has accelerated by 3.8 per cent year-on-year in the first quarter of 2018, marking the fastest expansion in eight quarters, before decelerating marginally to 3.6 per cent in the second quarter of 2018. The non-oil sector is expected to grow by 3 per cent in 2018 and by 3.6 per cent in 2019. Leading proxy indicators on the economy too have remained positive. The Purchasing Managers Index (PMI) has remained in expansionary during the year, while credit to the private sector continued to trend upwards over the last few months, reaching a 19-month high in August at 5.4 per cent. The non-oil sector will be stimulated as the UAE government recently announced reforms to support the economy. Dubbed Ghadan 21 (or Tomorrow 21), the programme entails a Dh50 billion stimulus plan that includes various measures to prop up investment and facilitate doing business in the country. Economic reforms will also be complimented by the recent approval of the largest federal budget in the country’s history, of Dh60 billion, with more than half allocated to education and social development. “Continued improvements in spending efficiency, strengthening non-oil revenue, advancing to a competitive knowledge-based economy, deepening and broadening structural reforms, privatising nonstrategic government-related enterprises (GREs), and improving the ecosystem for SME development and access to finance; would help achieve Vision 2021 goals,” said Armstrong. On the downside, the real estate market is yet to recover. Residential sales prices in Dubai fell by 2 per cent year-on-year in September 2018, while Abu Dhabi saw a sharper 9.3 per cent drop. Strong supply growth in housing, a soft jobs market and subdued demand were the main reasons behind the decline. In addition, job creation in the UAE has been quite modest this year as judged by the Emirates NBD employment index. But as the overall macroeconomic conditions continue to improve, the pace of job creation should gradually pick up.